The SkiBike Shop: SkiBike Footwear - Get Your Boots On! SkiBike Footwear - Get Your Boots On! "Can I wear good hiking or snow boots with a skibike, instead of ski/snowboard boots? If so, what type would be best"
As Snowboard boots fulfil many of the above skibiking needs, are relatively inexpensive and readily available, they are the number one choice for most freestyle skibikers. However some skibikers still prefer normal hiking boots, I tried them but ended up with wet feet, which apart from the discomfort, could cause health issues after prolonged exposure, such as frost bite or trench foot. 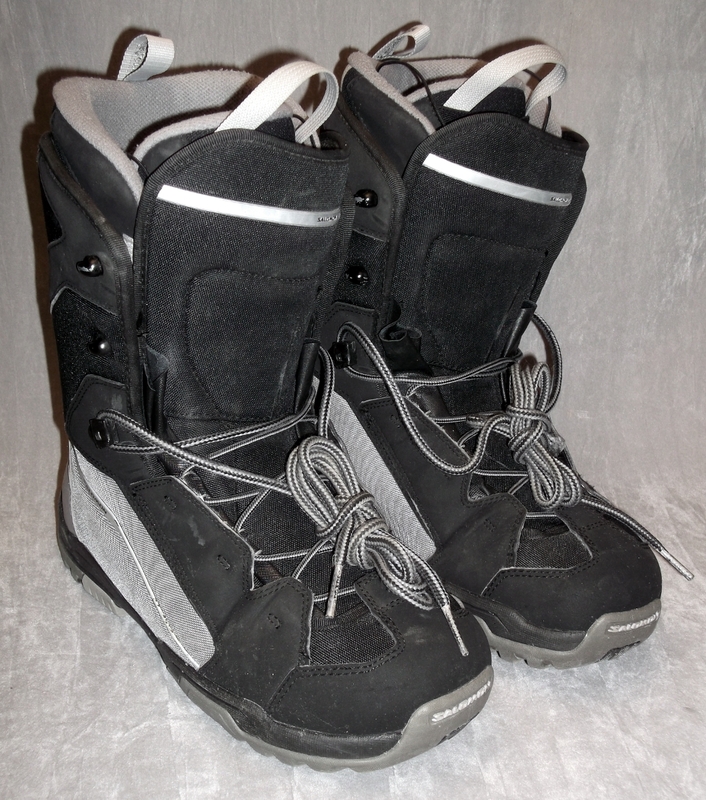 Alternatively; snowmobile, quad or dirt bike boots have been used by other freestyle skibikers with great success. Lastly, from personal experience, I can confirm that both downhill and ski touring "randonee" ski boots are totally unsuitable for this application and should be avoided at all costs, even spray painted Doctor Martens boots woud be better, get your boots on!